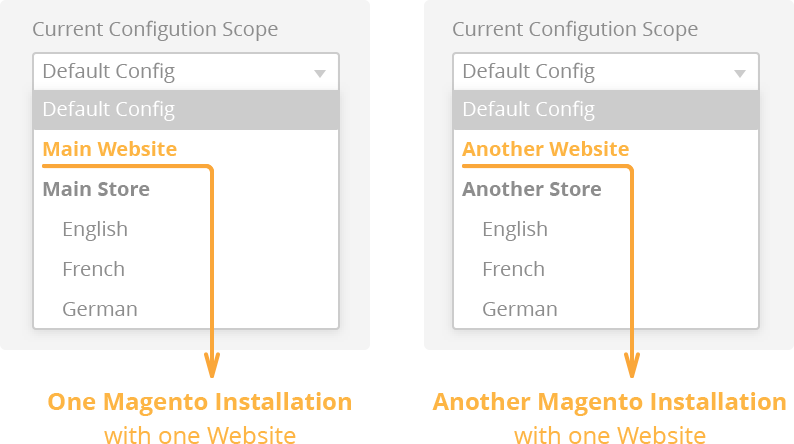 Our support team will create or modify a store theme for GoMage Advanced Navigation for Magento ® that matches your existing one. 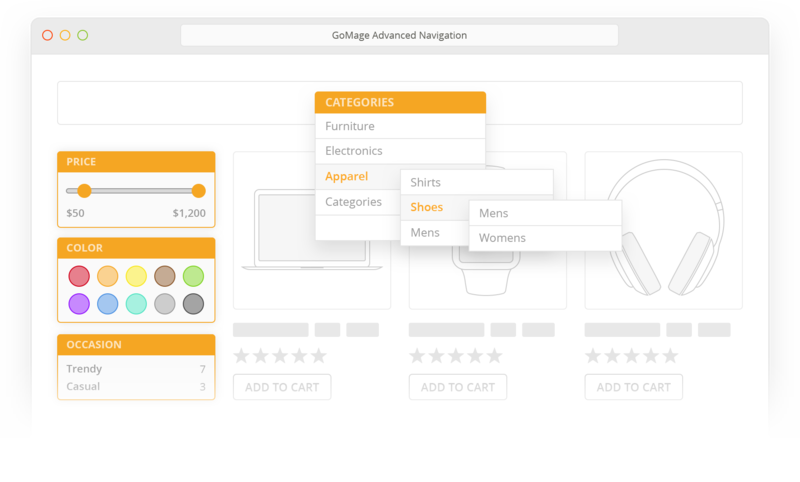 GoMage Advanced Navigation extension for Magento ® makes the process of product search and selection very easy and comfortable for end users. 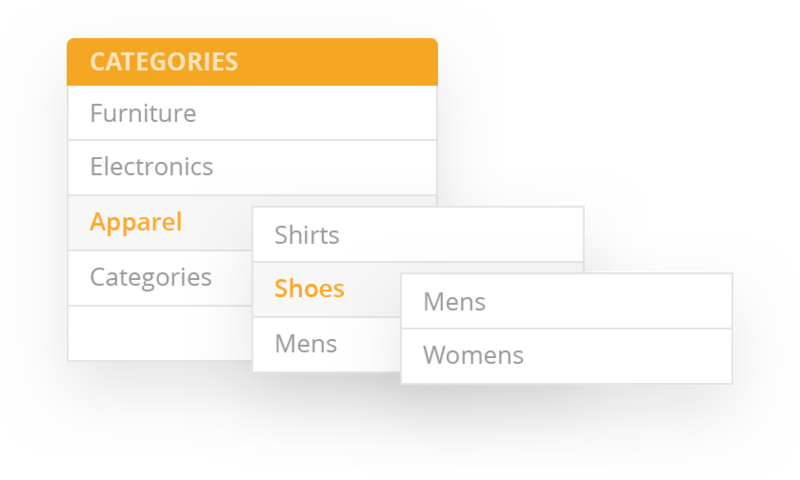 The navigation functionality is based on customizable filters that can be enabled for the product attributes in the Magento ® system. 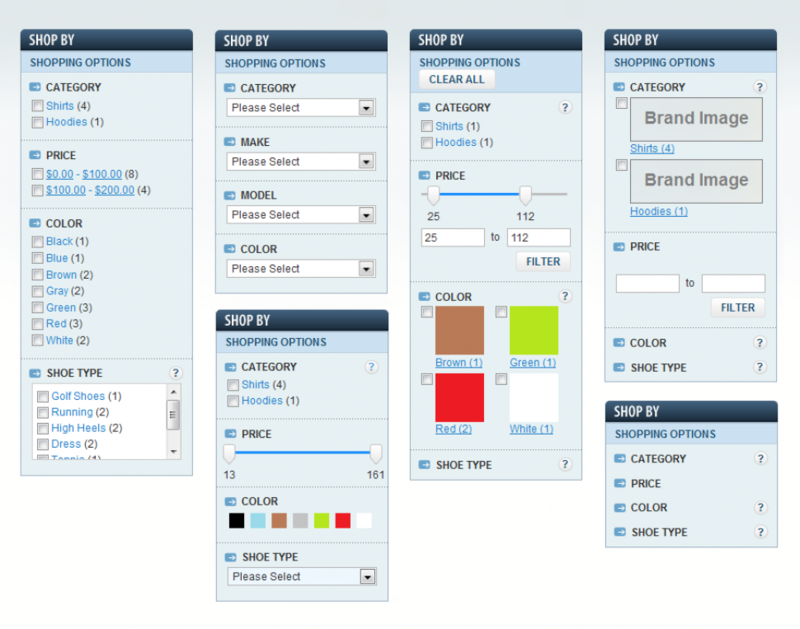 The filtering can be done by category, brand, price, color, size, stock status or any other attributes of your selection. 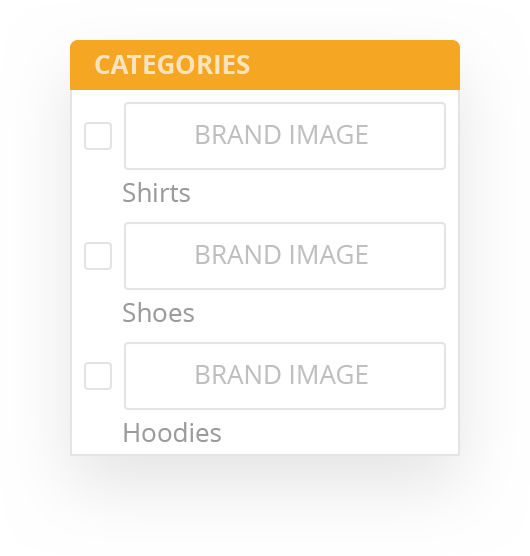 The filter structure is simple and comfortable, which helps online store visitors select the necessary products by specific criteria and find what they need quicker. A more complex task for the store owner is to determine what exact criteria are important to the customers. 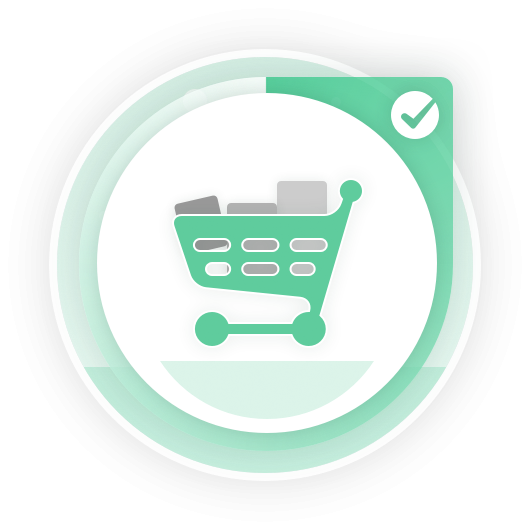 If you know your customers’ preferences and can predict even the most specific custom search criteria, GoMage Advanced Navigation will help you to make your Magento ® online store perfectly convenient for your clients and increase your sales significantly. Select attributes for filtering and configure all filtering options using the extension backend settings. Add filter results to URL without page reloading and replace the attribute number with the attribute name. 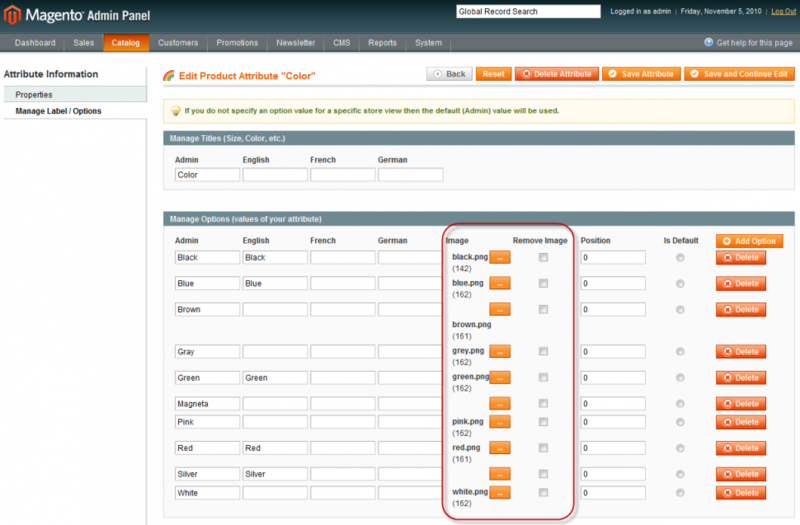 Enable stock filter to let your customers choose only ‘In stock’ or ‘Out of stock’ products. 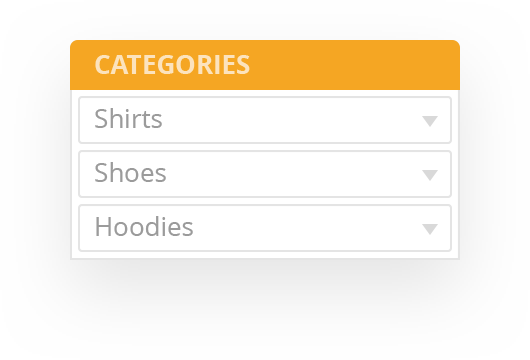 Show the quantity of product items for each attribute option in the ‘Shop by’ block. Show the filtering block ‘Shop By’ in right, left or content column, or in two columns at once. Set the attribute filters displayed in the content section as rows or columns. Load products automatically by scrolling down the page or clicking ‘Show more’ button. Enable ‘Back to Top’ button to allow your customers to return to the top of the page immediately. Show or hide the number of the page and the quantity of product items on the page. 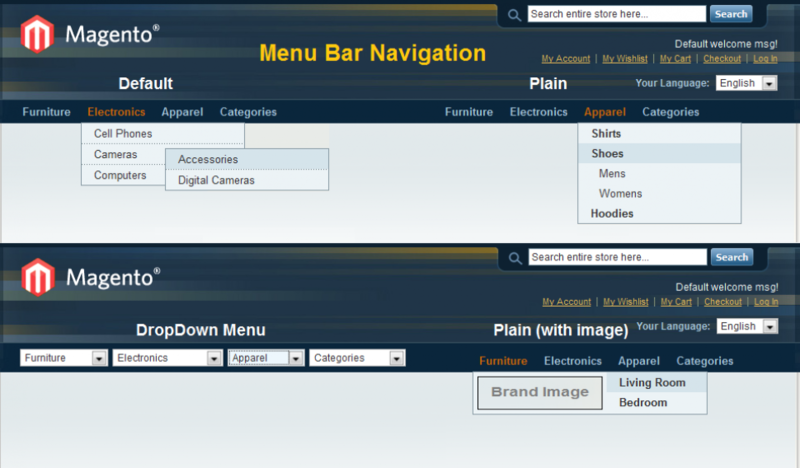 Select the Filter type for the Categories in Menu Bar (plain, drop-down, fly-out) and display brand images if necessary. 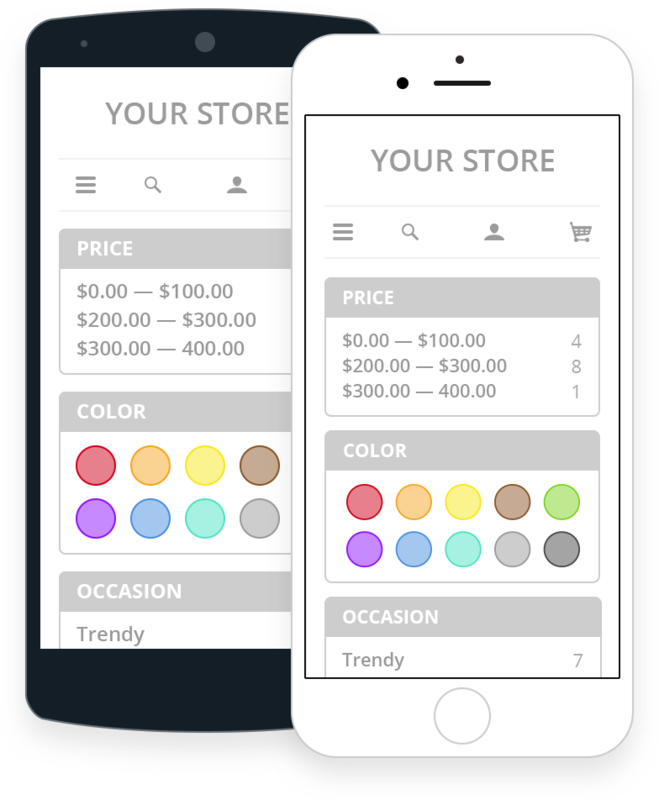 Modify background color, buttons text and color, select Slider type and Help Icon options for the ‘Shop By’ block. Enter your desired text for previous and next product links in the Product Navigation settings. 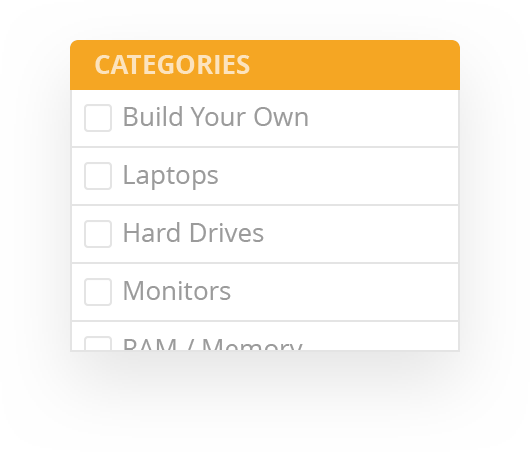 Enable navigation for the necessary categories only. 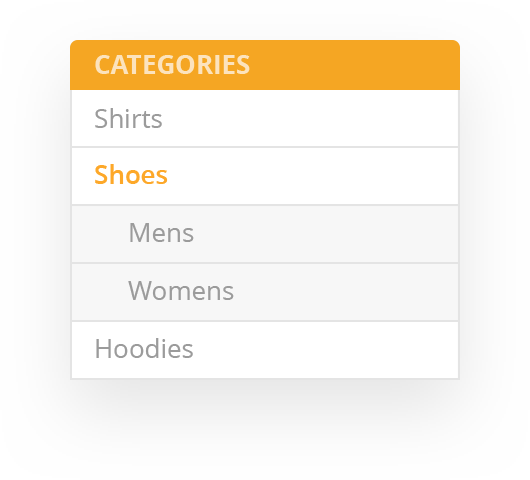 Choose the type of filtering for categories in your store and customize the design. Exclude categories for which certain attribute filters are not applicable. Responsive design ensures compatibility with mobile themes and proper functionality of all extension options on any type of mobile device. 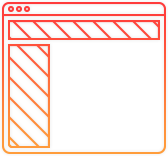 The extension can be disabled for mobile devices if necessary, then standard Magento ® navigation will be used instead. The extension allows to customize filter options. It works well and if there are any issues, the support answers promptly. The extension works well, easy to install and use. This extension has a lot of features that the standard Magento layered navigation lacks and the GoMage support is top-notch. Recommended. Advanced Navigation is very good one, works fantastically!. actually, i was searching for many extension for navigation of my website, i think this one is the best one, its really awesome, i recommend it, also support team are very helpful :). 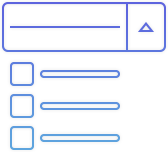 We needed a solution for customizing our filter navigation. This extension made it possilbe. It works very well and reliable. The support is great and very responsive. No problems with developer keys. I would buy this extension again. Works out of the box and great support for development key's. This module is a good alternativ to native filters of Magento and it works well. GoMage Support is very fast (chat service works very well). The best part about this plugin is that the company is actively trying to help and get all the great features working. Would recommend. Excellent Extension. Nice Features & Great Support. Thank You. Our product range includes 140.000 articles, all with different attributes. The magento flat navigation doesn't work for this amount data, so we decided to try an ajax template. The GoMage extension works perfect in our store. It's easy to install and easy to customize. So we also bought the Gomage ProCart and LightCheckout extension. This is a great extension. They offer great support and the extension does what is need it. They are very nice and fast to answer as well. I would recommend this extension to everyone! We have been using this extension for a while now and it is working great. A very worthwhile addition to the website. This extension is excellent, especially when we have encountered some of the bugs, they provided immediate support and assistance to us. We're really appreciated for the team. Also, the advance navigation is very user-friendly, which creates a very good user experience while shopping. We recommend this to all e-shops! 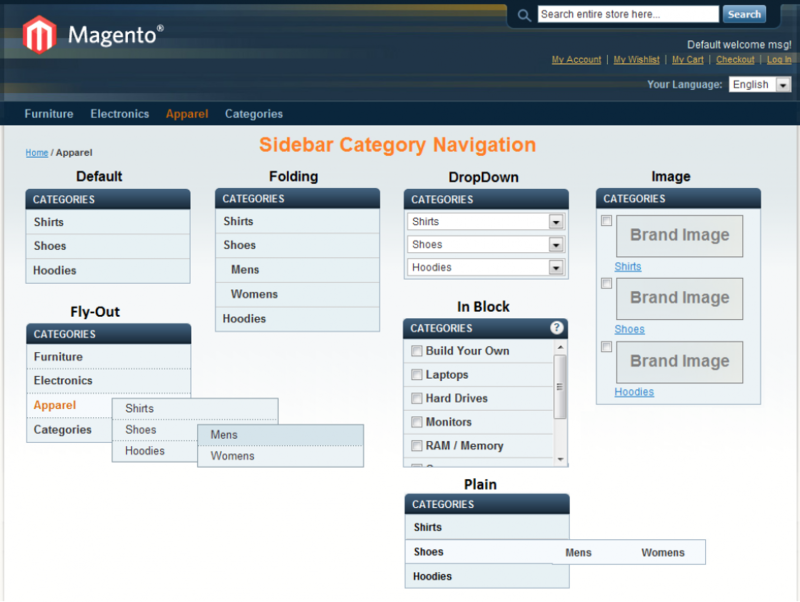 The best advanced navigation for magento!! !This extension must have any online shop.Highly recommend! This extension works as expected. Swift support! Chat is very handy. We use it on multiple sites. Extension very useful and versatile. Recommended for any type of ecommerce. 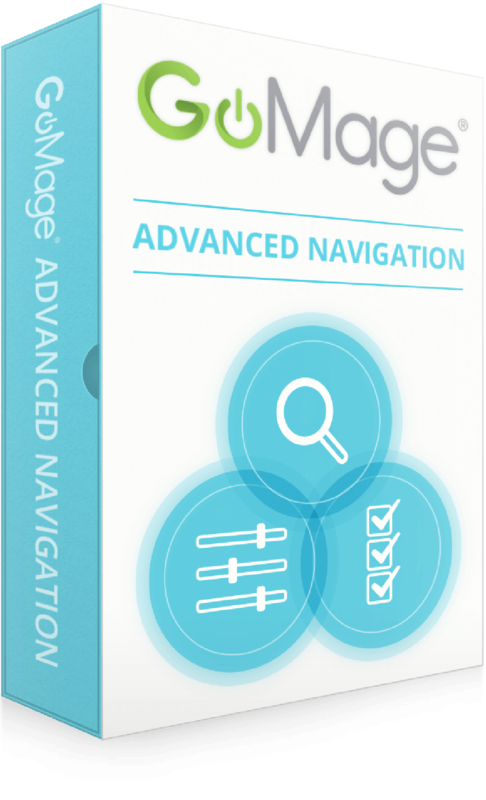 GoMage Advanced Navigation is a great module and works as expected. Very good support also! We sell -tshirts and other promotional products, we are working on our new website and we have found this extension, It works very well I think this extension is a must if you sell tshirts like we do, and the support is just great ! A must have extension for e-commerce! This extension makes my site feel like it can compete with top end e-commerce sites. In addition, I purchased this extension over 6 months ago and recently ran into some problems with my specific configuration and the Gomage team sorted it out very quickly and free of charge even though I was outside the free support time frame. I like the flexibly that this product provides and I recommend it. This extension is perfect to improve navigation but also to improve your SEO. This extension is solid and easy to install. Easy to customize and looks very pro in the shop. 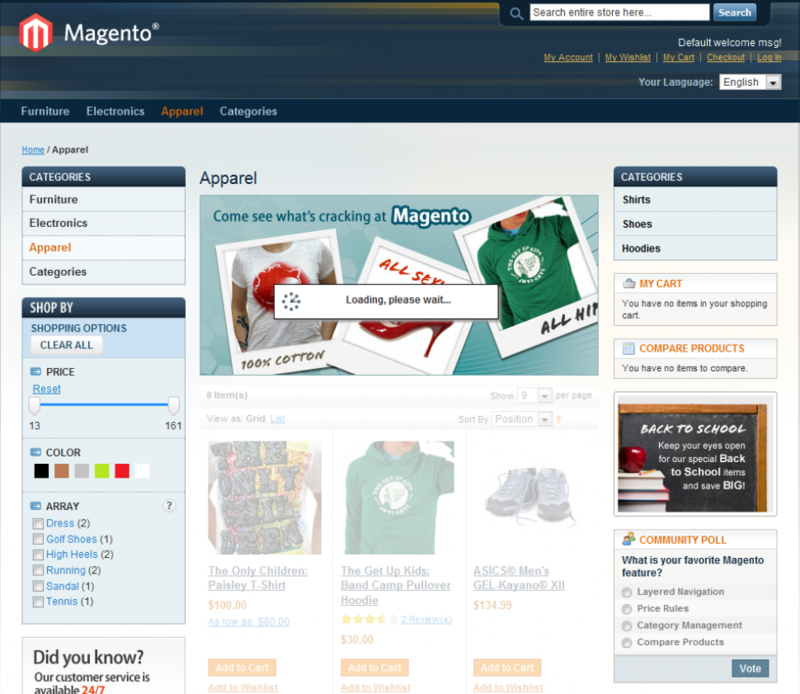 This is the best shop by in magento! 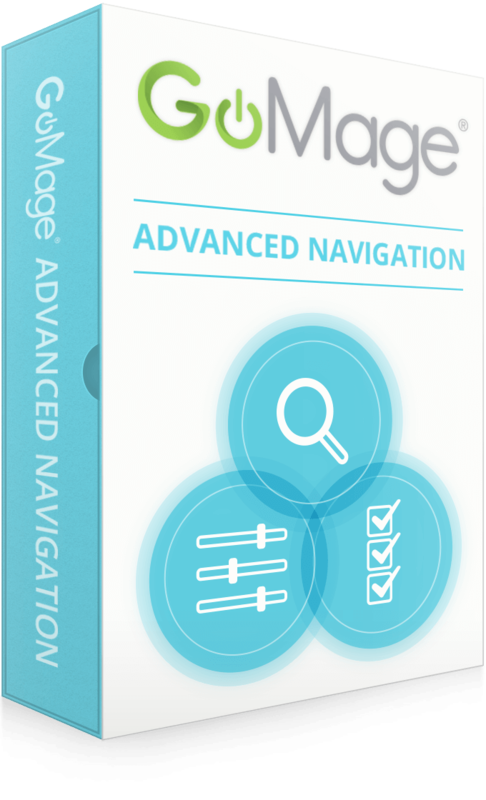 I have tried three (3) different modules and nothing compares to advanced navigation by GOMAGE. We needed some custom styles done and they were able to implement them right away! Fantasitc support, & great extension! 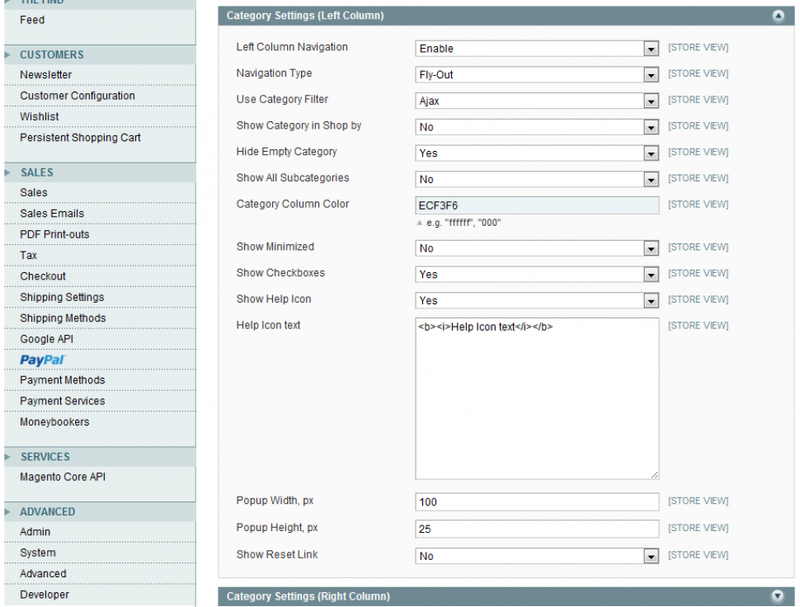 The advance nagivation by GoMage is a pretty solid extension add on for magento store's. It works seamlessly with site category and subcategory contents. 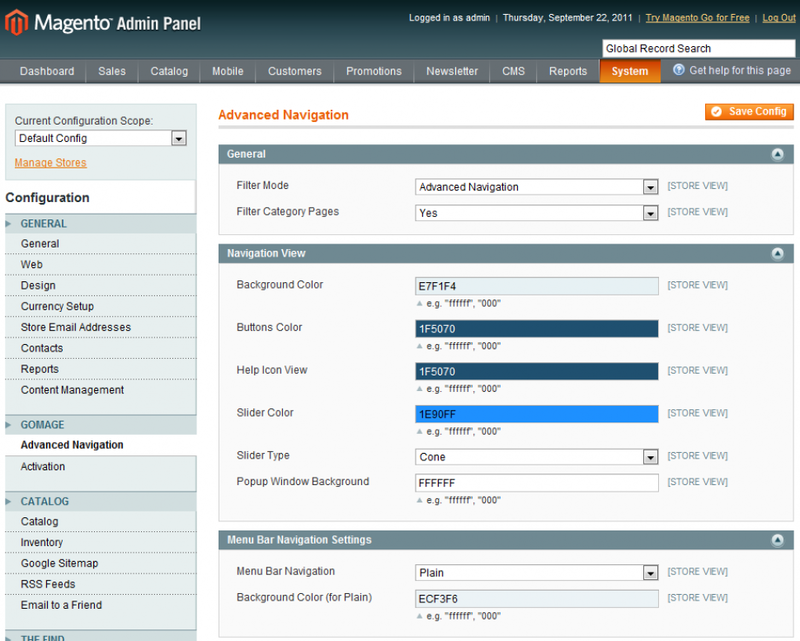 The ability to customize according to users color scheme, and easy managable backend settings is also a plus. 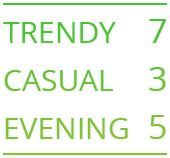 Although there's still room for improvement, particulary for featured category sections, nonetheless it is a great asset to have for ones webstore. Customer support staff is highly motivated to satisfy and deliver quality customer experience. I truly respect and honor them for that. There was a problem with my theme and this extension but the support team helped me fast and they fixed the problem free of charge. 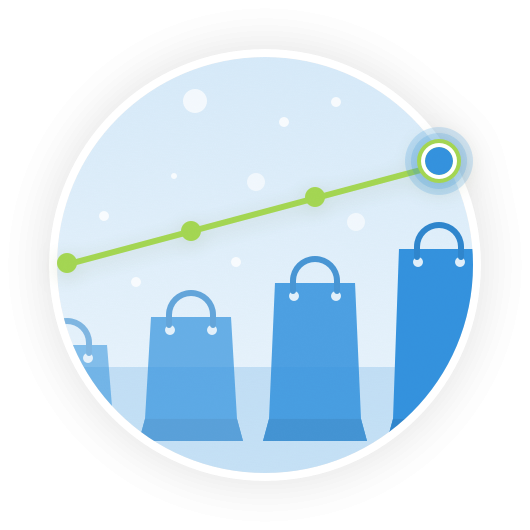 with this extension, your shop will be greatly appreciated by your visitors. * When do I report it!! 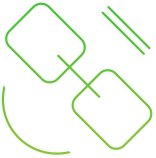 GoMage has excellent support and are adding new features all the time. Highly recommended. Very good extension....recommend the install and CSS integration services also....fast response. This is a good developer and extension. the extension is really amazing, we integrate it with no problem. and everything works fine. we faced some problems and tuning and also the support team fix it in ONE DAY. This Extension, is great works as advertised I have being working with this for 7 Month already without any problem! Excellent extension. Customer Service works speed. Everything just perfect with modern theme. Very helpful support, the extension works perfectly. Our client is satisfied with the results! GoMage provide an excellent service. I have bought this plugin twice for separate installations and it works perfectly. There was a time a while back where I found a small bug (not experience breaking) with their plugin, and they had fixed it and released a new version within a few days. GoMage offers incredible support to match their incredible development skills. Kudos! 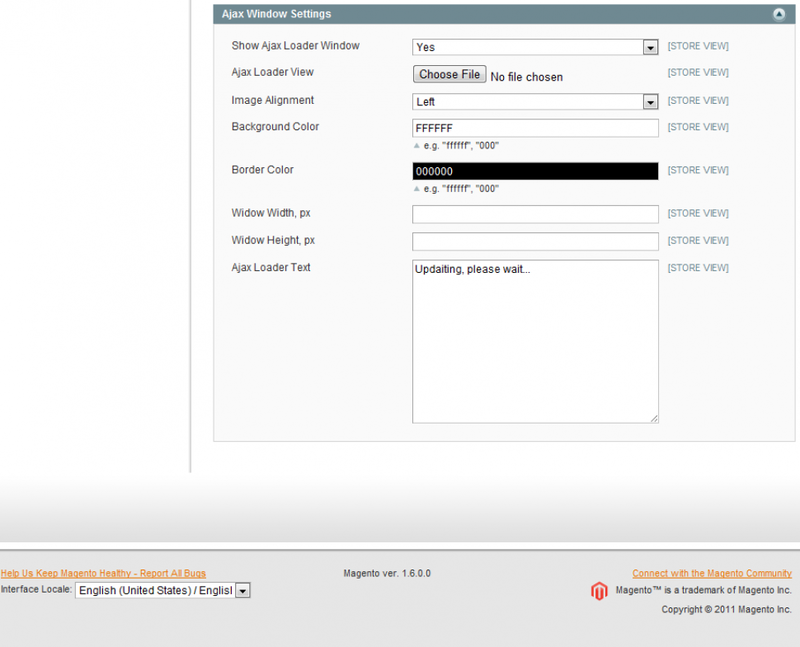 I have installed this module on Magento 1.7.0.0 and have some issues with Fortis theme. GoMage solved my problem very professional and very quickly. I appreciate the work and support they did. Thanks for a good extension! Best extension ever! looked everywhere for something like this. Worked out of the box for 1.6.2. This is an excellent extension and really easy to install. It improves the default magento search without any doubt. Good support which is always reassuring when buying an extension. 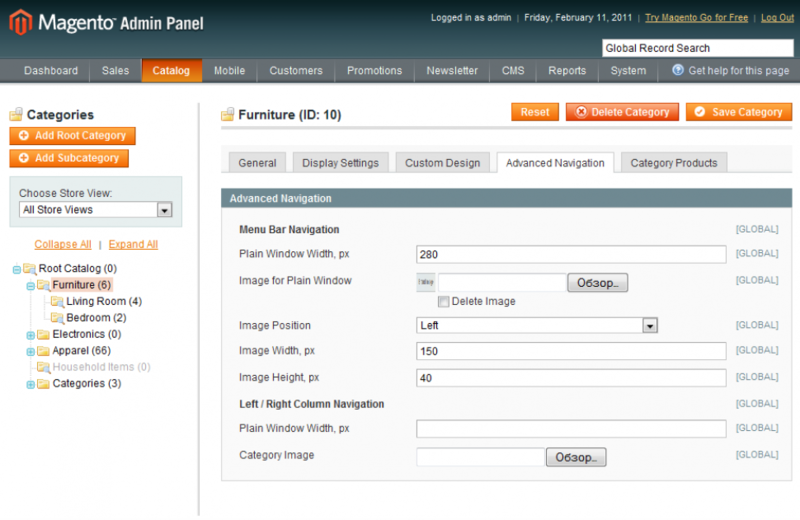 Works fine with Magento 1.6.2 and template from TemplateMonster. Wonderful extension and excellent support. 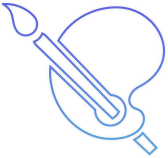 We initially had difficulty getting the extension to work with our theme, however GoMage support was quickly able to diagnose and tailor the extension to our needs. This is just one of the several extensions we have acquired from them. Excellent product and service, they were very helpful with a tricky implementation! great custom care and very fast support response. Wonderful addon. Great customer service! Thanks again! Thanks for sharing your experience here. I really like it. Thanks for sharing your opinion here. I really respect it. Extension works perfectly. You cannot beat the features for the money. The support is excellent. I've worked with many Magento developers, and GoMage ranks at the top of the list. The issues I had were related to other extensions, yet GoMage tracked down and fixed them all. I highly recommend GoMage extensions! We not only buy the extension, we also ask them to customize it for us. The extension works, the interface is clean and easy to use. The customization is what surprises me, they did it so quickly and overall it meets exactly what we want. I like their discount program, which means next time I need an extension, I will check with them first. I have got excellent support. Very fast support and also good support. They helped me out with some small problems in no-time.. I do a lot of business with extension stores but this one is till now the best one! Thanks for the great support!!! Customer support is very helpful and the extension is excellent. 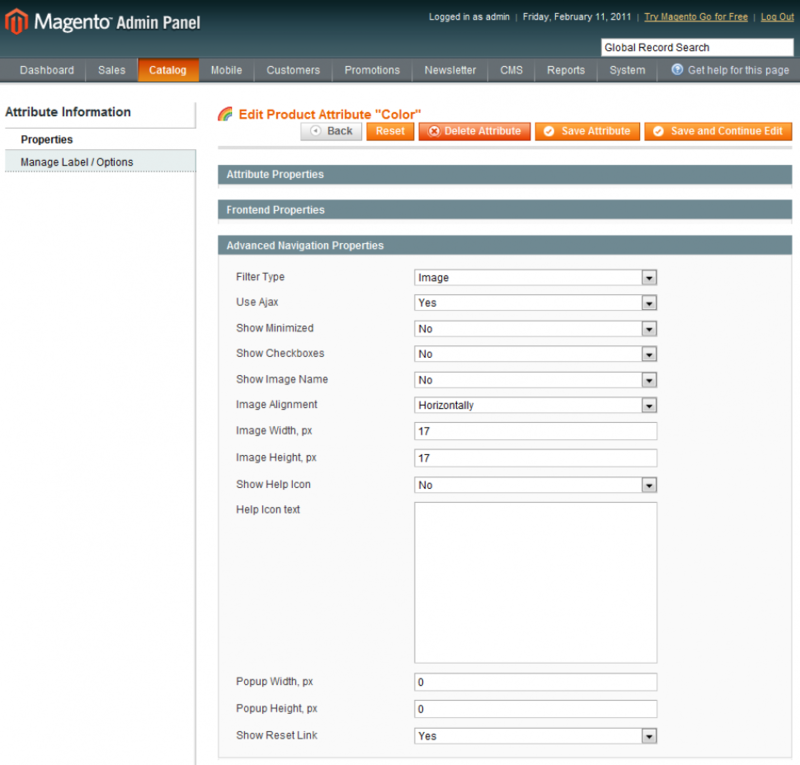 I am a new Magento user, so after buying the extension I had to contact GoMage customer service many times. And not all my questions as I discovered were related to the extension. But every time I received very detailed replies. I have learned a lot from them. Customer support is very helpful and the extension is excellent. 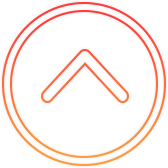 I work directly with the makers of this Magento extension. It does exactly what it says it will do and does it well. Very reliable. “Clear All" option bug fixed. GoMage SEO Booster compatibility: URL settings issue fixed. New feature! “Price Slider” filter type is now supported on mobile devices. “Options Range” related bugs fixed for numeric attribute filters. Output of decimal values corrected for numeric attribute filters. “Use Secure URLs in Frontend” and product filtering related bugs fixed. Minor layout modifications for the "Back to Top" button implemented. Fixed a minor bug in the buttons translation functionality. Added a critical fix related to Magento ® SUPEE-6788 security patch. Fixed a XSS vulnerability in Advanced Navigation 4.7. Fixed a bug with INPUT filtering option. Fully compatibility with GoMage SEO Booster 1.1. Fixed a minor bug with 'eval_js'. SEO optimization: Preventing Google from indexing the pages! Hided layered navigation block from the search engines. No more duplicate content! 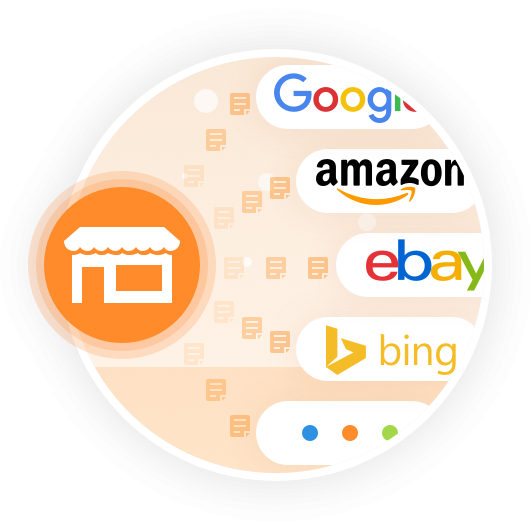 Added Ajax Filtering for "Sort by" and "View as"
GoMage Feed Pro extension optimizes search engines such as Google Shopping (in the US, UK, Australia, Germany, France, Japan, China, Italy, the Netherlands, Spain, Brazil and Switzerland), Amazon and eBay by allowing you to uplink product information directly.